CLARKSBURG, MI – Keith S. Schultz, age 78, of 885 Co. Rd. 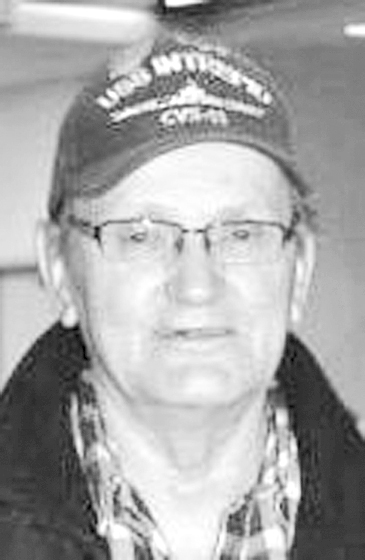 CKL Champion, (Clarksburg) passed away on Sunday, December 2, 2018 at his home. Keith was born in a log cabin in Snowville location, (Diorite) on January 9, 1940, a son of the late Lorraine Marie (Thibodeau) and Sterling William Schultz, Sr. He graduated from Ishpeming High School, class of 1958. Keith was a proud US Navy Veteran, who was stationed on the USS Intrepid. Keith worked for Cleveland Cliffs Iron Company, working at the Mather B Mine and retired from the Tilden Mine as a clarifier attendant. He was a member of Greenwood American Legion Post 114, and the AMVETS. Keith was a Green Bay Packer shareholder and was a knife and antique collector. He loved hunting and fishing in his younger days and enjoyed playing and watching baseball. He loved to watch his grandchildren in their activities and was a strong support of Westwood Athletics, most of all he loved his grandchildren and was always there for his family. Keith is survived by two daughters, Lori (Eric) Bendall, of Reno, NV; Danielle (Garret) Guidebeck, of Ishpeming, MI, two sons Kenneth Schultz, and Steven (Connie) Schultz, of Michigamme, MI; three brothers, David Schultz, of Clarksburg, Sterling (Connie) Schultz Jr, of Clarksburg, and Michael Schultz, of Ishpeming, 8 grandchildren: Justin Bares, Nicolette Schultz, Nicholas Bendall, Cole Schultz, Cooper Guidebeck, Tabitha Guidebeck, Victoria Schultz and Carter Guidebeck and several nieces and nephews. Keith was preceded in death by his parents, wife Karen, infant daughter Kristin, nephews: Darren Schultz, and Kirk Schultz. in laws: Donald and Jeanne MacPherson and a sister in law Bonnie Jarvi. Keith’s family will greet relatives and friends from 3:30-5:30 PM on Monday December 10, 2018 at the Bjork and Zhulkie Funeral Home where funeral services will be held at 5:30 PM with Fr. Ryan Ford officiating. Pallbearers will be Keith’s grandchildren. A pot-luck style luncheon will immediately follow the service at the Greenwood American Legion Post 114. Interment will take place at 11:00 AM on Tuesday December 11th at Northland Chapel Gardens where Military Honors will be accorded by the Vietnam Veterans of America Chapter 380. Keith’s obituary may be viewed at bjorkandzhulkie.com where relatives and friends may leave a note of remembrance.